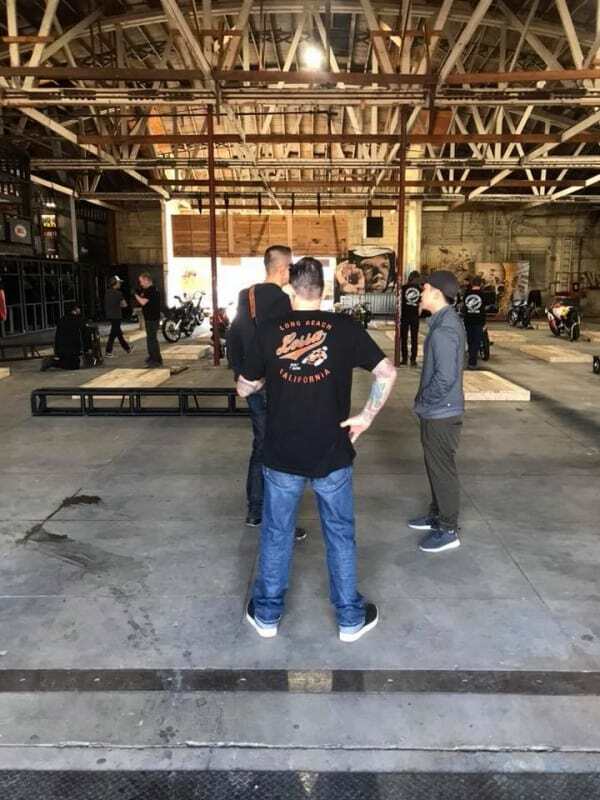 Well this morning I loaded up the van and took the Harlequin Honda down the 5 Freeway to Los Angeles, fighting traffic all the way and then off at Seventh street, I passed a few Old style warehouses and new I was in the right area for this weekends OG show. 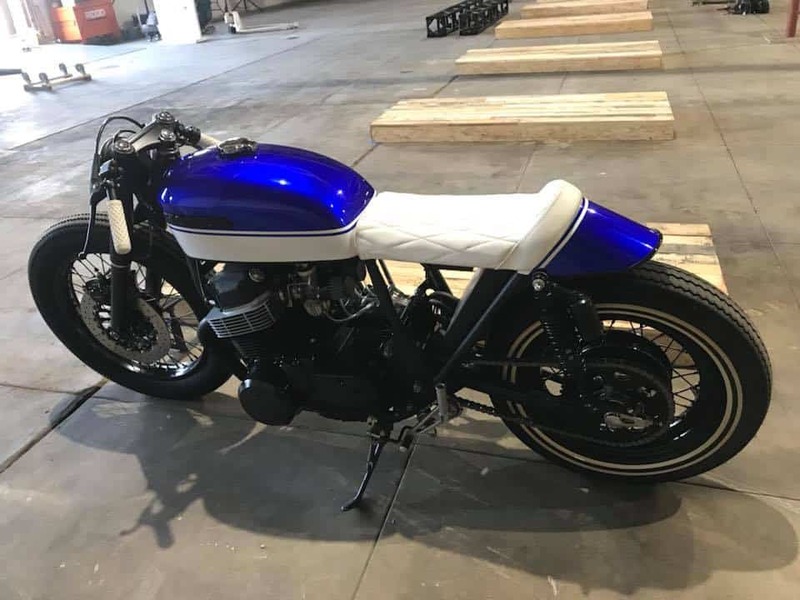 So, I pulled up on Anderson in the Industrial area and drove round the back where a friend of mine Donald Leonhardt was helping out and offered to give me a hand take the bike out, Cheers Don I was stoked to have help, as the 750 is no lightweight machine. We eased the bike into the old Warehouse and there was a hive of activity, the smell of fresh paint and cut timber filled the air, along the concrete floor are a number of hand made wooden Pallet style platforms, for which the “Invited Builders” will be displaying their machines and I was lucky enough to be one of those builders. So many cool machines had already turned up and the amount of attention to detail and engineering feats were mind boggling, Leonardo Devinci would of been right at home here, and to add to that, the building next door will be displaying cool art and design, as well as that, there were a few cool areas for Vendors. Such as Beringer Brakes, Deus, Tobbaco Motowear Co, Stellar Mo brand and many many more. The building is a superb venue and you can look at the bikes that are on the Wooden platforms, check out the vendors upstairs etc and then walk out the building into the alley at the rear to see more Vendors, more motorcycles and yest another building where the Art show will be, so a great Horseshoe shaped event thats super easy to navigate. Many bikes will be there, close to 100 I should think, so if you have a chance, get down to the show this weekend, it will be a fun place to be for sure. 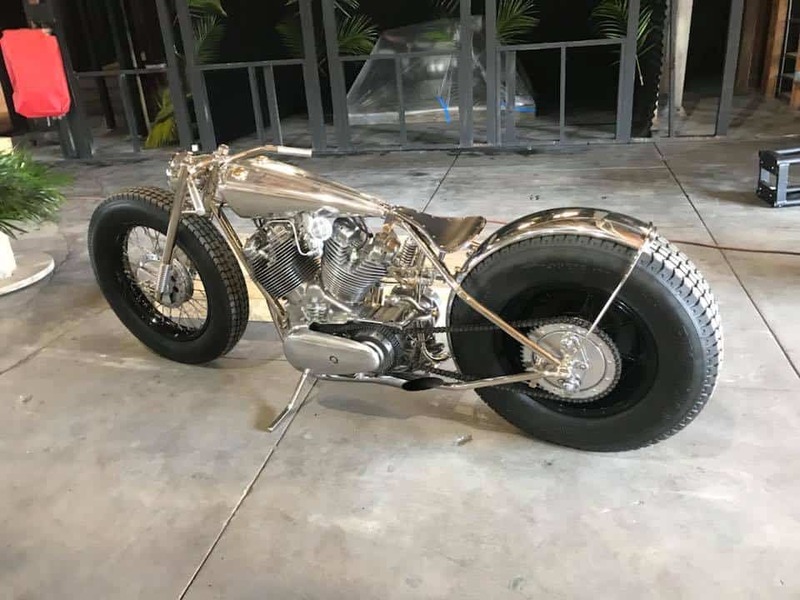 I am looking forward to see what all is on display, love seeing other bikes that have been created. I am sure there will be something for everyone and many different manufacturers machines will be sat proudly for you to look and absorb. 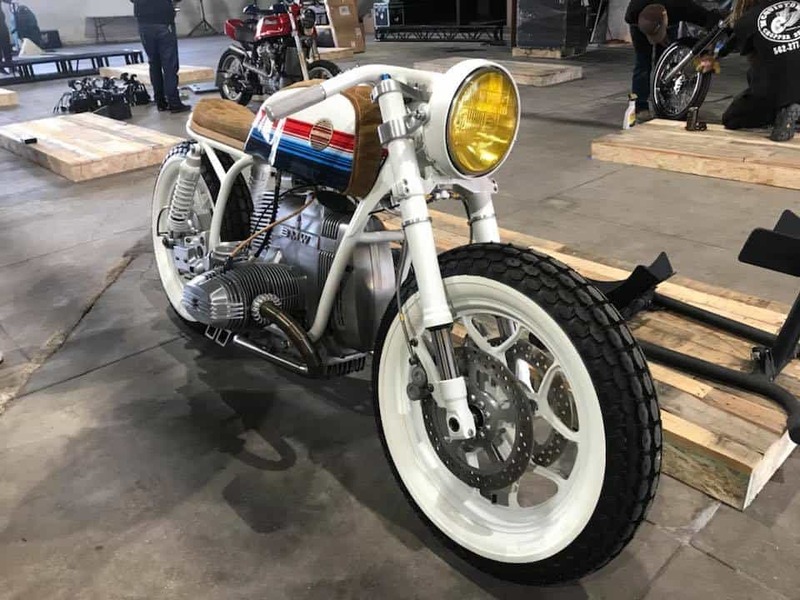 Hutch will be there with his awesome Beemer, this thing is off the hook, I love the minimalist look and lines , such a lot of time to get it to this standard. Below is the info you may need. 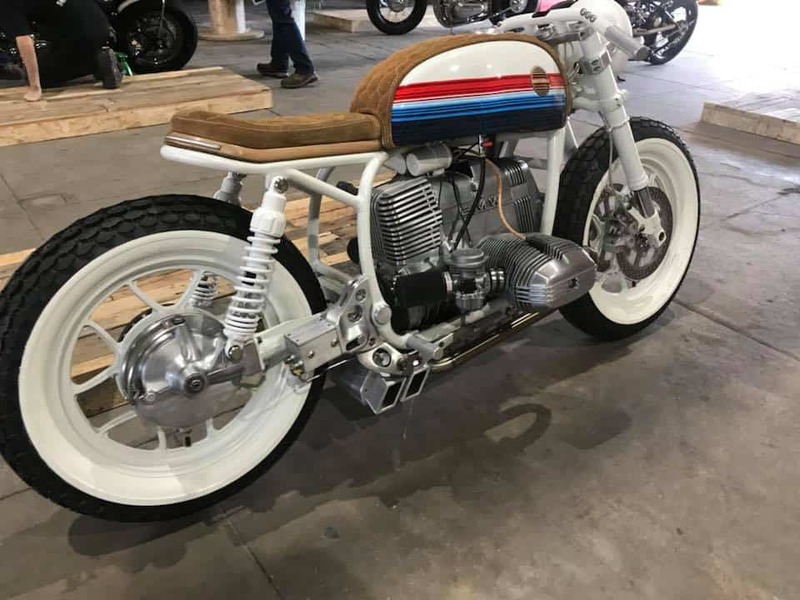 http://www.ogmotoshow.com/info/ Hope you can make it out, this will be a really good show and not to be missed, plus a chance to chat to some of the builders, these bikes may give you food for thought and you start a creation of your very own. See you there, you can text me on 714-598-8392 to see if we are close by for a chinwag, be great to see you all. 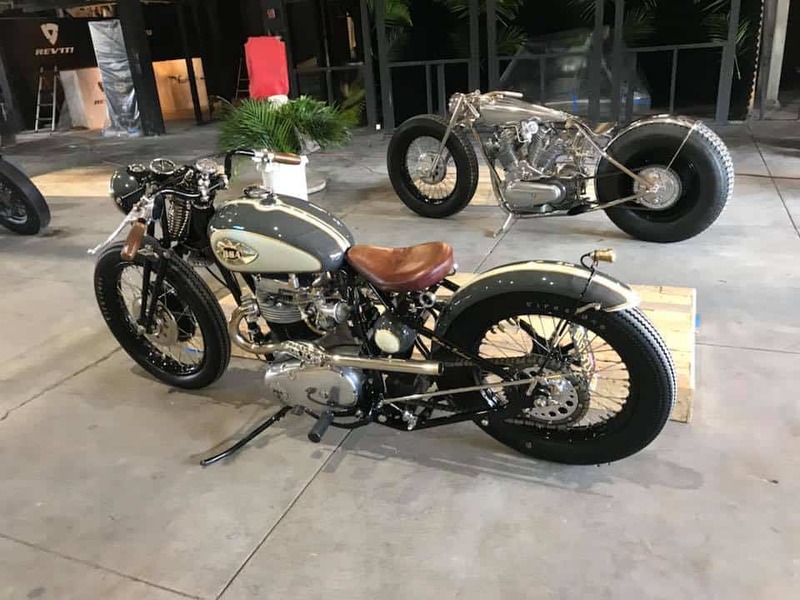 The OG Moto Show is an annual motorcycle event located in Downtown Los Angeles featuring select Cafe’ Racer, Bobber, Classic, Tracker, Scrambler, Old School Chopper, Modern Classic, Brat and full custom motorcycles on display in a unique setting. 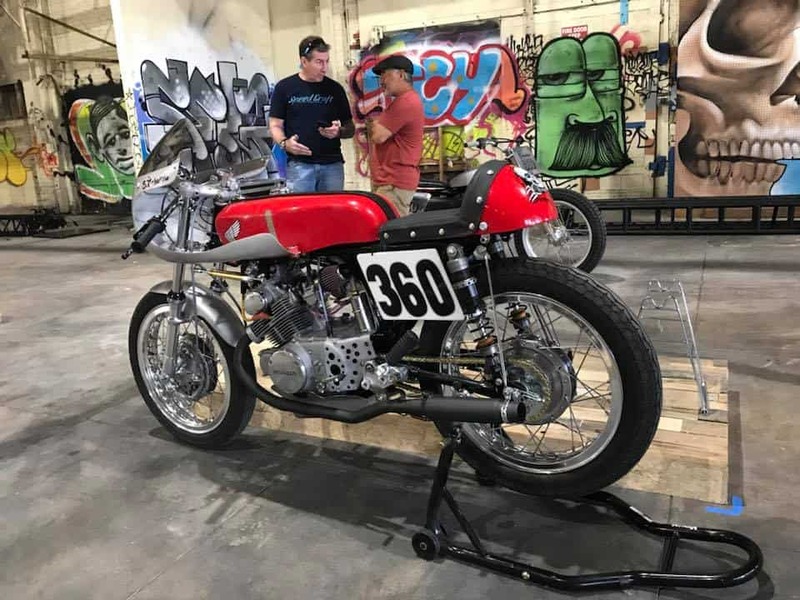 The vision of Jay LaRossa of Lossa Engineering, Stan Chen, John Pangilinan, and Ralph Holguin of RMD Garage to help bring this style of motorcycle culture to Southern California. The event gathers thousands of motorcycle enthusiasts together in a unique setting. The experience will feature art, photography, music and more. Coffee, drinks, and food will be served throughout the day. 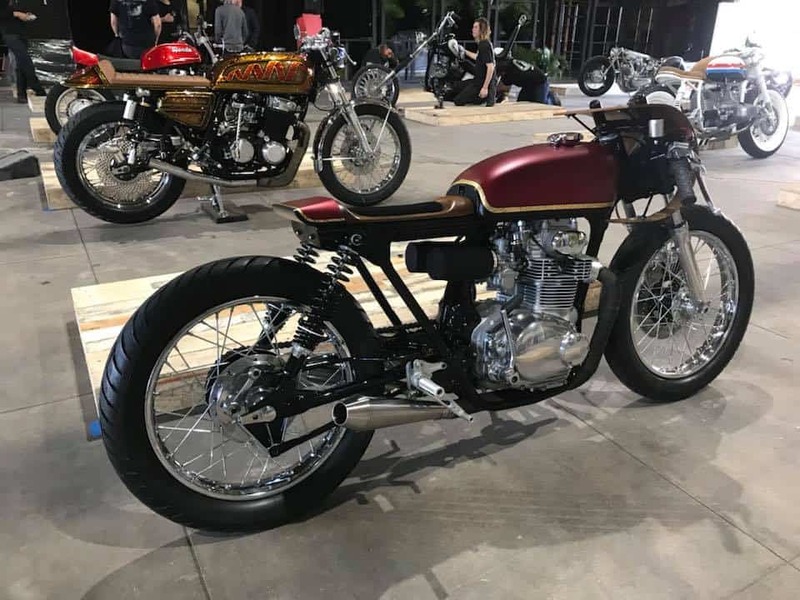 Select vendors were on hand offering goods for purchase and the highlight of the event will centered on the custom motorcycles on display. 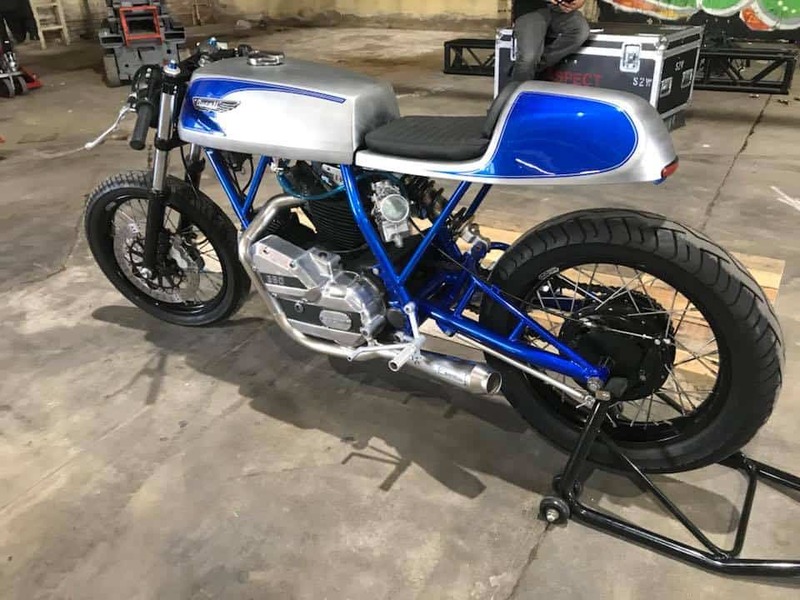 This entry was posted in Blog, General Info and tagged 2 stroke, AHRA, Art show, Beacj bars, bmw, brat, BSA, cafe racer, cb750, classic, clip ons, Clubmans, custom, Deus, drag, Ducati, Four stroke, harley, Honda, inline 4, Inline twin, LA event, metalflake, motorcycle show, OG show, outliers Guild, scrambler, Skateboard, Steve caballero, suzuki, tracker, triumph, vendors, yamaha. 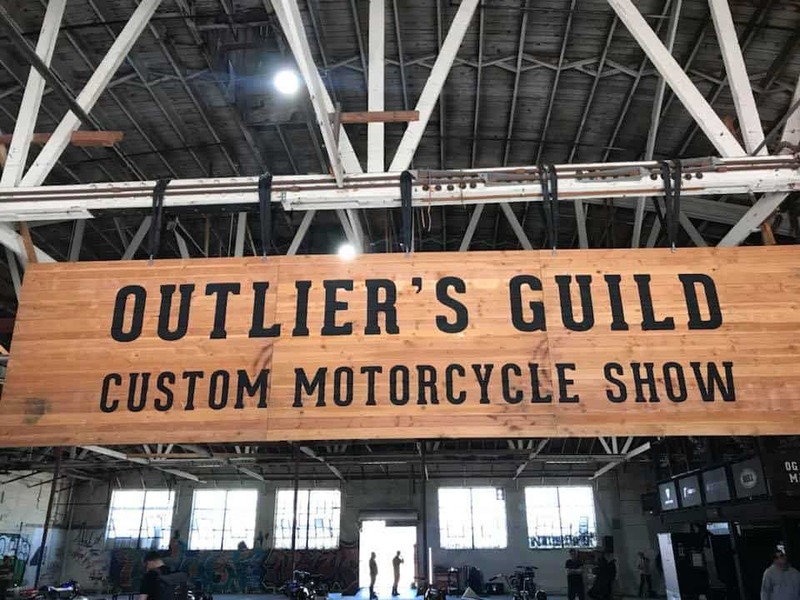 The Outliers guild Motorcycle show is Today in LA, see you there.